“I’m sorry, the old Taylor can’t come to the phone right now. Why? Oh, ’cause she’s dead!” Wait a minute…what happened to the pop artist we all learned to love? The bubbly blonde who turned heartache into hits and painted the town pink as she oozed sweetness and naivete? It’s safe to say that the quiet girl we once knew and loved is no longer with us. 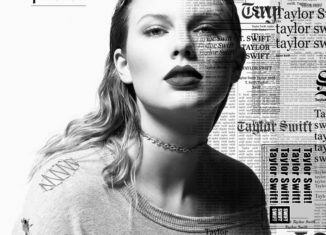 A short while ago, 27 year old Taylor Swift went off the radar and completely disappeared from social media. More recently, she announced that she has a new album due out in early November. Shortly after this announcement, Taylor Swift premiered her newest music video for the first single off that album, Look What You Made Me Do, at MTV’S Video Music Awards. This video drew a lot of attention from the media and fans leaving all to analyze the music video for all of its hidden meanings and messages. Overall, the music video represents the “death” of her old reputation with some scenes being very morbid and shot in cemeteries. The video can easily be perceived as a dig towards Kanye West and Kim Kardashian West, stemming from Swift’s long time rivalry with the celebrity couple. West and Swift have had issues with one another ever since West mentioned Swift in his song, and Swift claimed she never gave consent. Many fans called Swift a snake because of the fight, so she included snakes all over the music video. One line in the song reads, “I don’t like your little games, don’t like your tilted stage/The role you made me play of the fool, no, I don’t like you.” Kanye’s recent tour included a floating stage, so it is inferred that she is talking about him and his stage set. The cover of Taylor Swift’s new album “Reputation” closely resembles West’s album “The Life of Pablo,” as pointed out rather vehemently by West’s fans. West’s fans are also irate because Swift is releasing her new album on the ten year anniversary of the death of Kanye’s mother’s passing, calling it tasteless and intentional. In another shot of the video, Swift is in a bathtub filled with 10 million dollars worth of diamonds, which has led some people to argue that the scene was referencing when Kim Kardashian was robbed. Swift didn’t focus all of her efforts on her trouble with the Wests; she also included her feud with pop artist Katy Perry. In a scene, Swift is dressed exactly like Perry and is holding a grammy. Fans saw this as Swift criticizing Perry since she has not won a grammy yet.